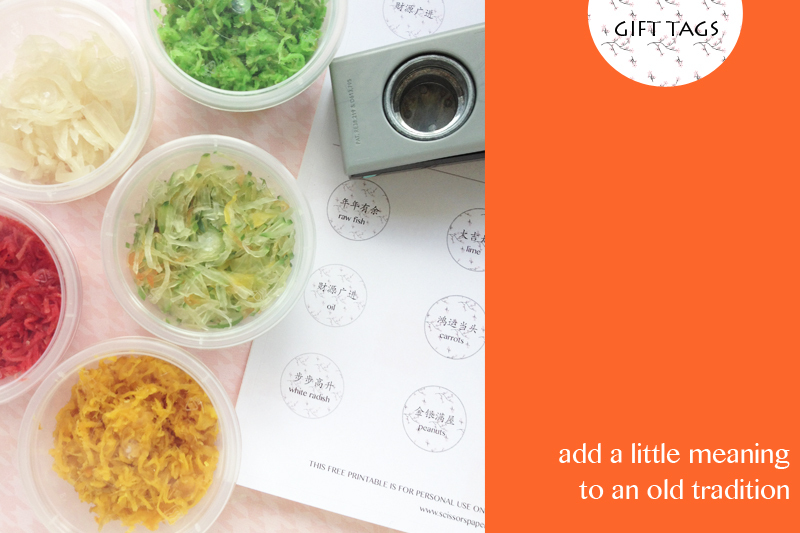 With Chinese New Year just around the corner, you might already have tossed Yu Sheng with friends. I love Yu Sheng. It isn't just the salad but also the fact that it is tradition. Typically if it is eaten at a restaurant, there is always a waitress or waiter who will utter the appropriate new year greetings to usher in the New Year in a special fashion. However, when we celebrate the New Year at home, it is not unusual that no one knows the exact sayings to utter at each stage. With that in mind, I scoured the net to find the Yu Sheng sayings and I posted it on my blog last year. 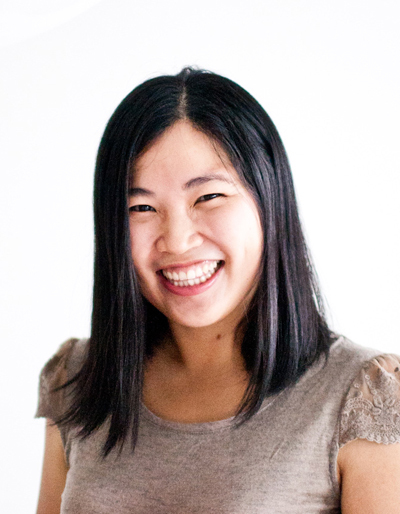 This year, I decided to go a step further and create a fun printable that can be pasted on each ingredient to make it that much simpler as you celebrate the Chinese New Year meaningfully while tossing the Yu Sheng. To spice up your Yu Sheng tossing, print the printable and cut out the circles and simply stick them on the corresponding ingredients. Then repeat the auspicious sayings as you prepare the Yu Sheng for tossing. 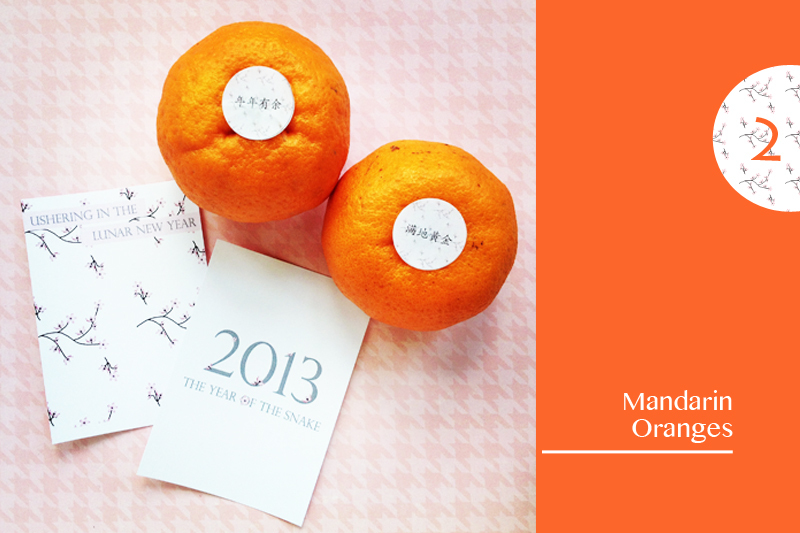 The stickers would also be lovely on mandarin oranges that you are gifting to family and friends during this season. Click on the image for the link to the FREE printable.